Well the surgery went a lot better than I thought in fact the surgery itself only probably took about 15-20 minutes. After all, it was just a matter of cutting a section of the gum, drilling a hole in my jaw, screwing a screw in and stitching the gum back up. The pain was less than I expected but still pain. Talking wasn’t something I really enjoyed, in fact moving my jaw in general has not been the most enjoyable feeling. I had Thursday and Friday off work and spent most of the time in bed. Today though I’m feeling better than yesterday but still sore. I could totally post a picture but I think most people are fine not seeing a picture of a swollen/bruised gum with stitches in. Correct? I thought so. Remember the M-Cups from a few years ago? They were the basis of many presents that I gave. Well those people at Fred have now introduced M-Spoons. 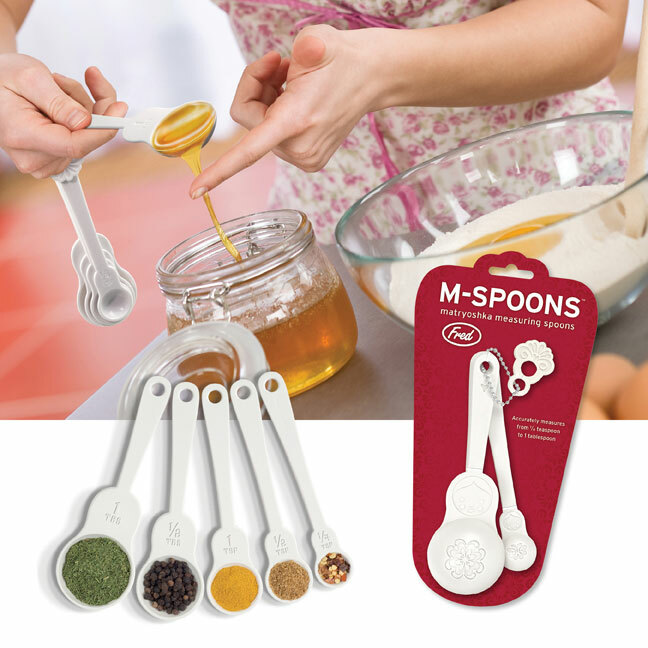 Oh yeah, I want a set of M-Spoons. Today is an even more glorious day! What a shame I already have your Xmas present!